This patent pill formula is sold in two sizes—choose from—one box of 20 vials filled with tiny pills (that’s a 3-day supply) for $7.99, and we discount on a 60-day supply (12-boxes) for $93.99 ($7.99 + $86.00). This amazing 15-herb formula combines poria fungus and coix seed which controls gas, diarrhea, providing effective immediate relief from diarrhea, pressure, cramping, and stomachache. This patent formula compresses the Chinese herbs into tiny pills that look like buckshot; one dose comes in a small vial. Just open the vial and pour the contents into your mouth then drink enough water to get it all down. 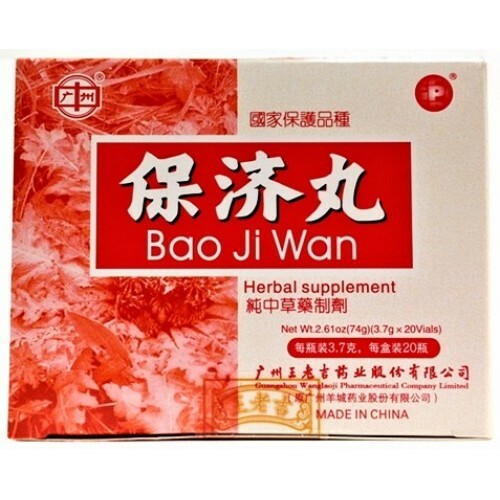 Bao Ji Wan will relieve food stasis, harmonize the stomach, stem counter flow ascent of stomach Chi, relieve pathogenic factors, and resolve pain. 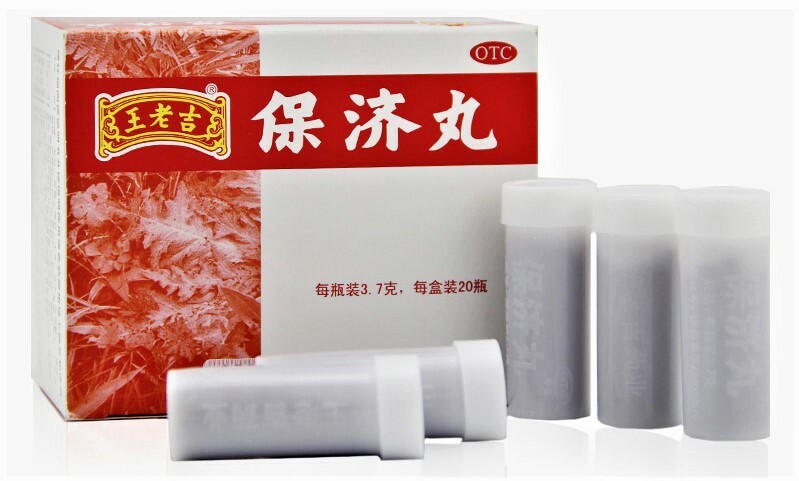 Use for relief of occasional acute symptoms of bad gas, food stagnation, including epigastric or abdominal bloating, abdominal cramps, headache, belching, and nausea. 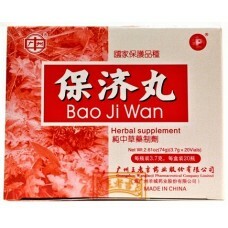 It is also useful in motion sickness, hyperacidity, overeating, or to calm the ravages of a bad hangover.